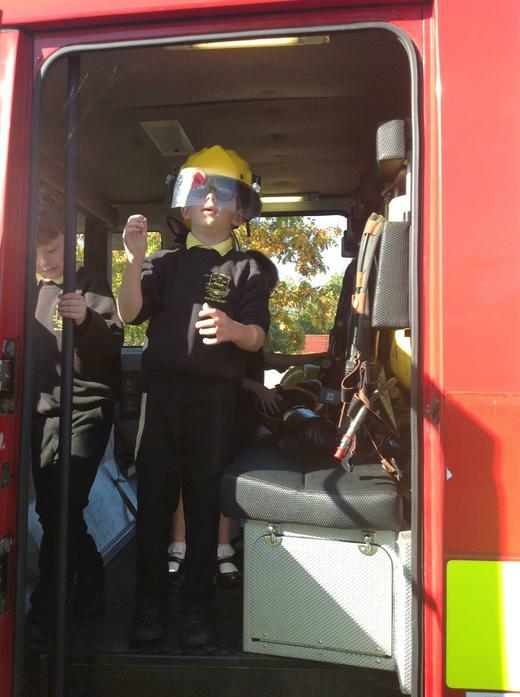 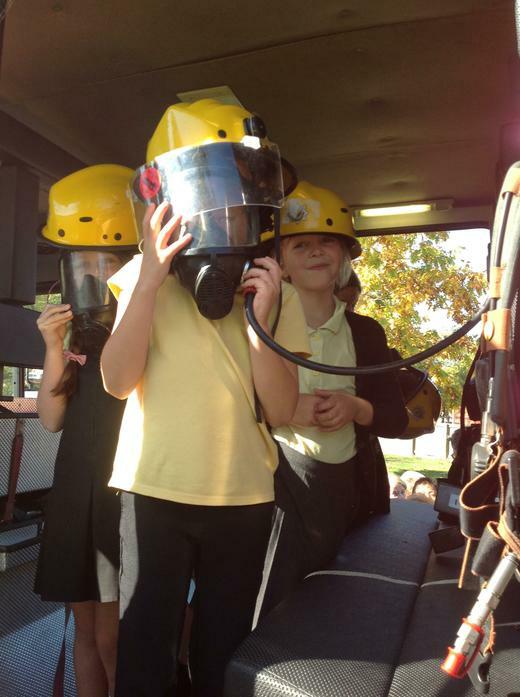 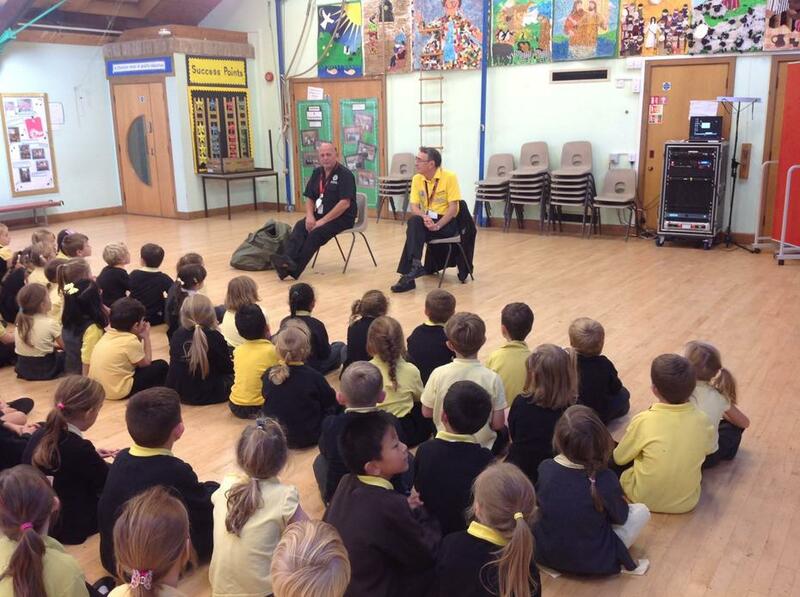 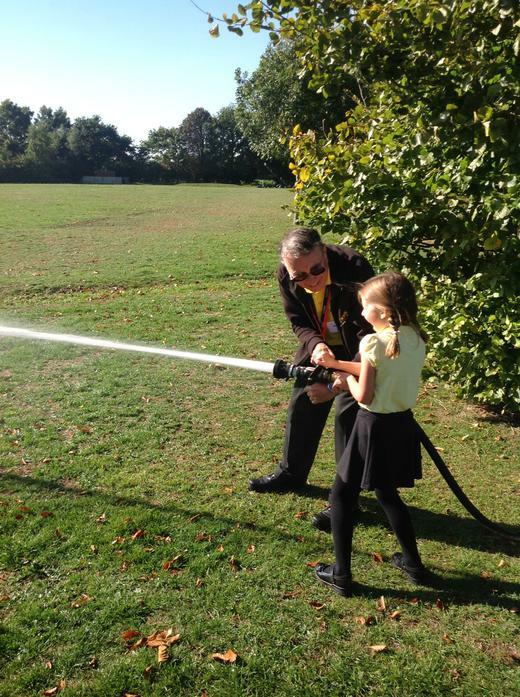 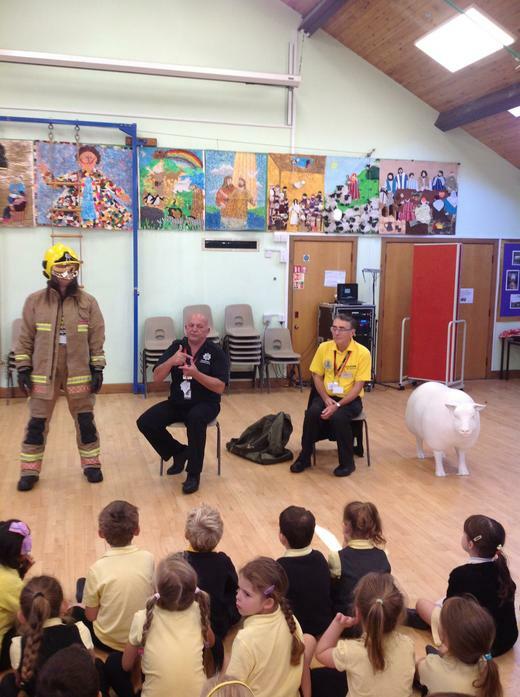 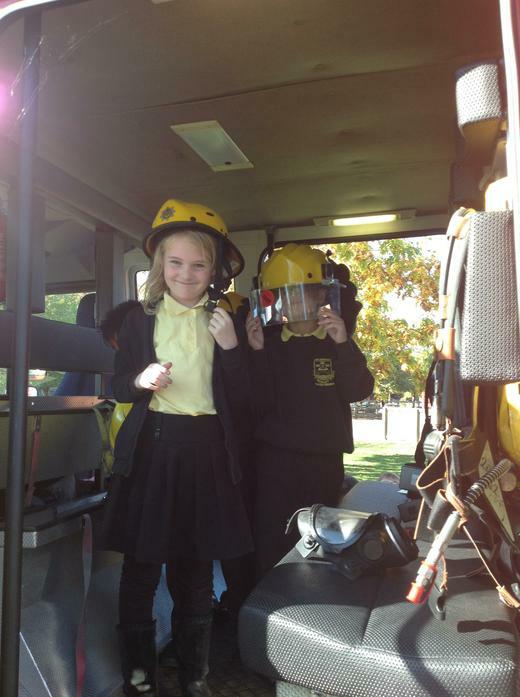 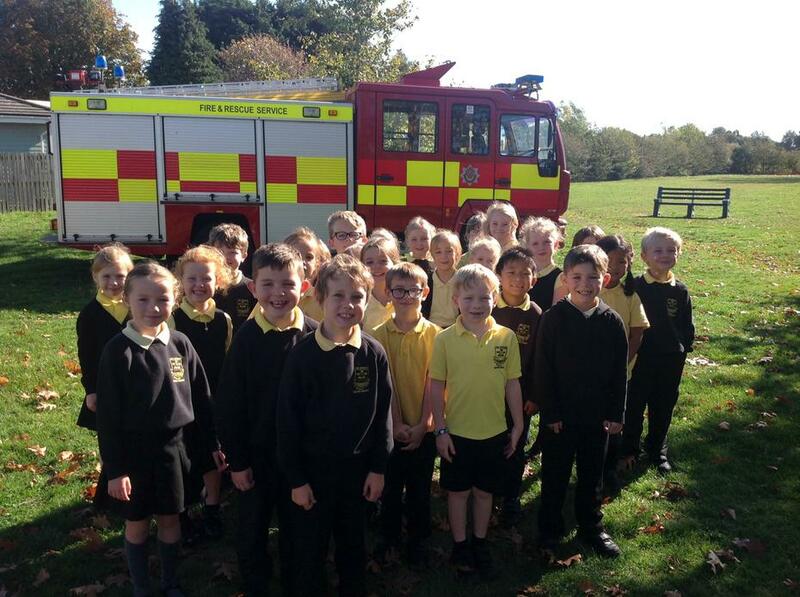 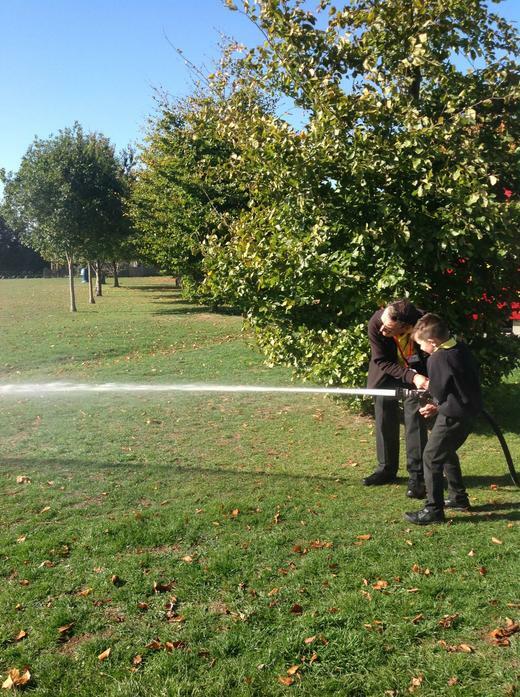 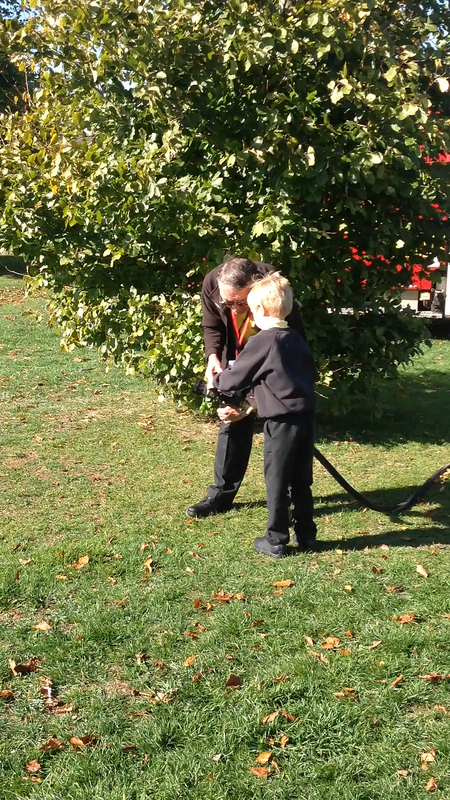 On Tuesday 9th October KS1 were lucky to have a visit from Gloucestershire Fire Service. 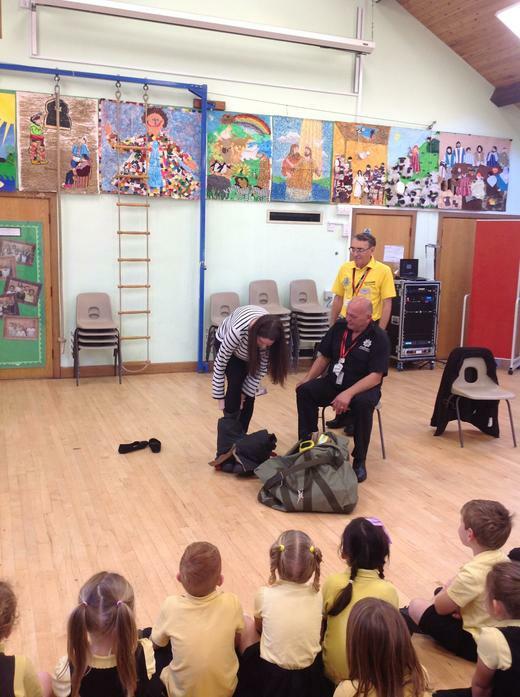 Firefighters Chris and Phil showed us the special clothing they have to wear to protect themselves from fire and dressed up Miss Ward as a firefighter! 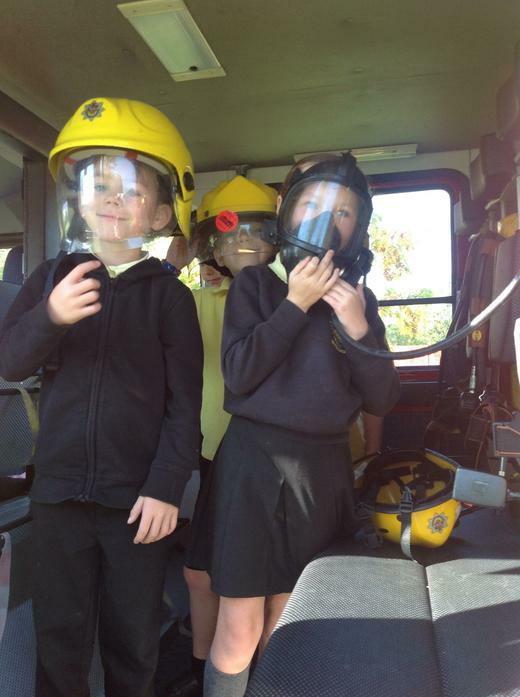 We then got to go on their fire engine and try on the helmets and air masks that they have to wear but the best part was getting to use the water hoses. 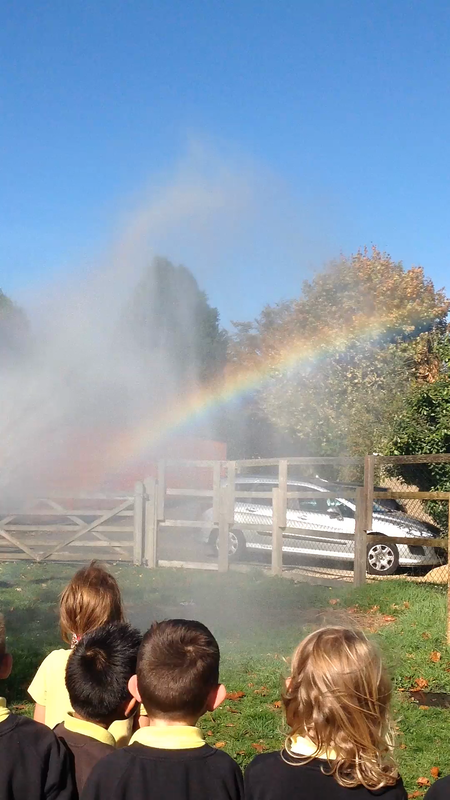 At the end Firefighter Chris showed us how to make a rainbow by spraying water high into the air!